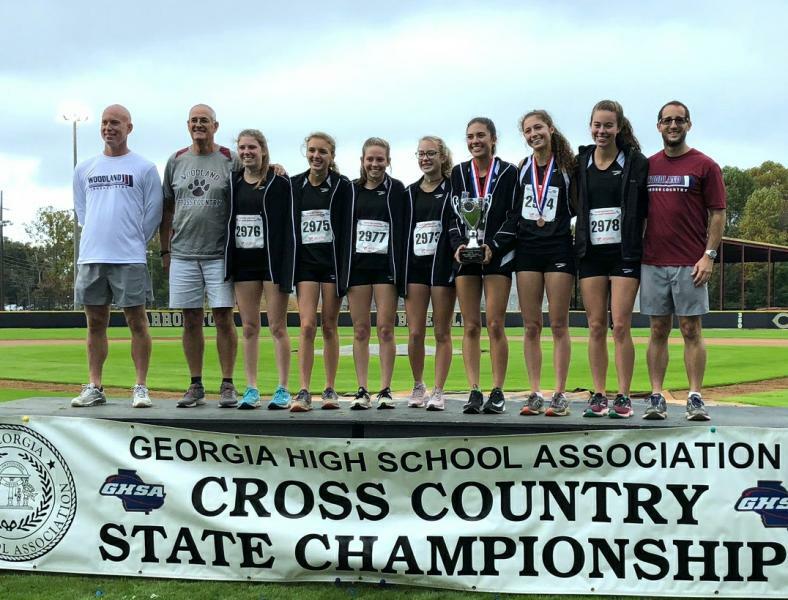 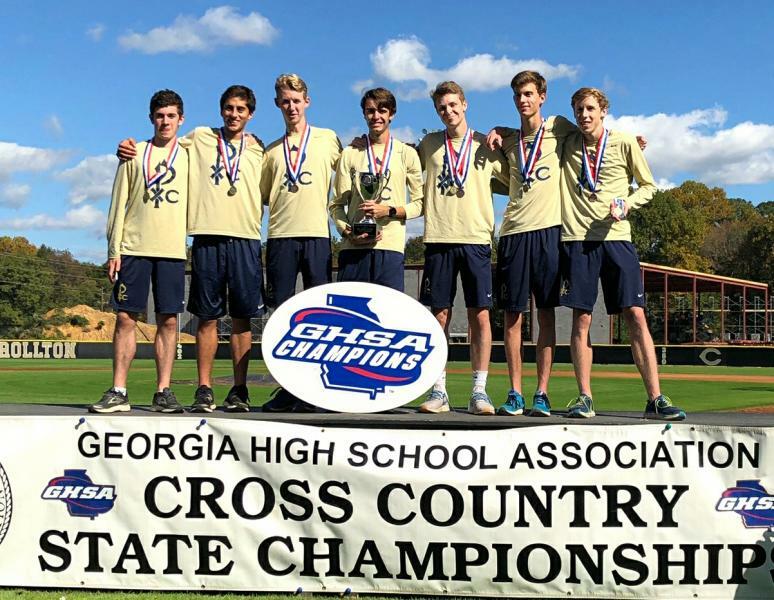 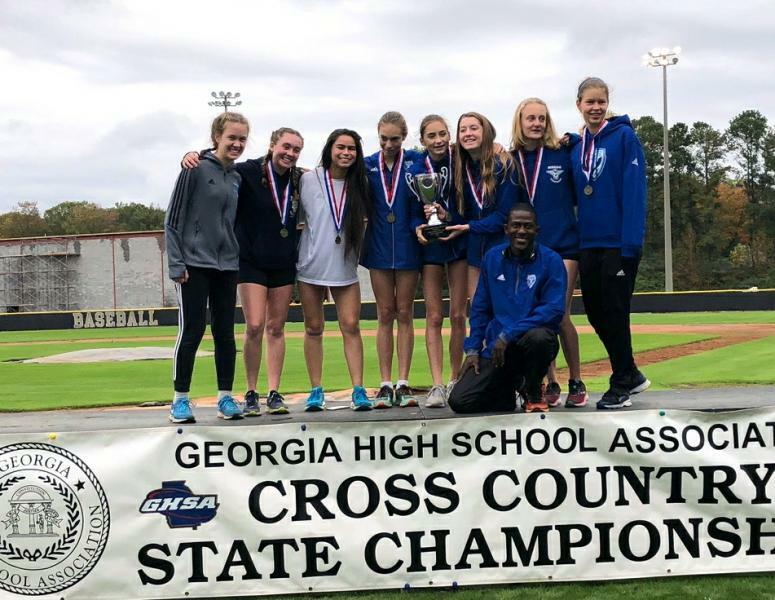 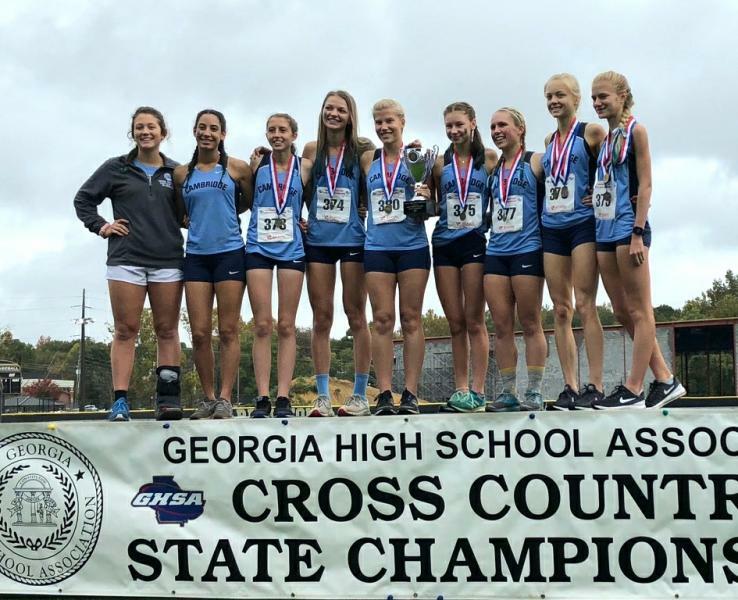 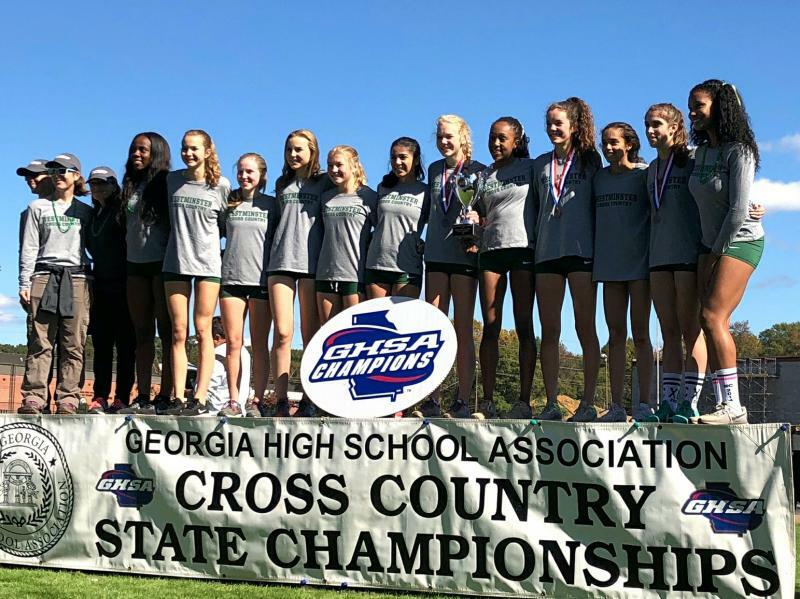 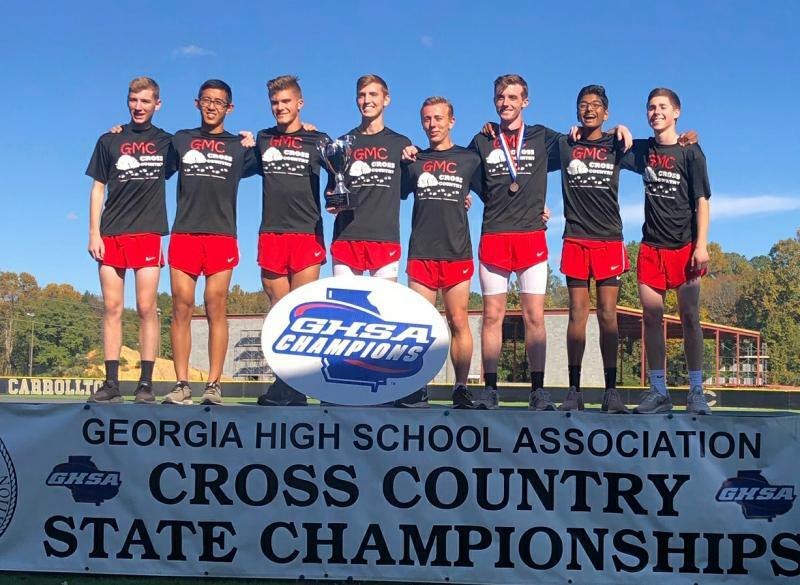 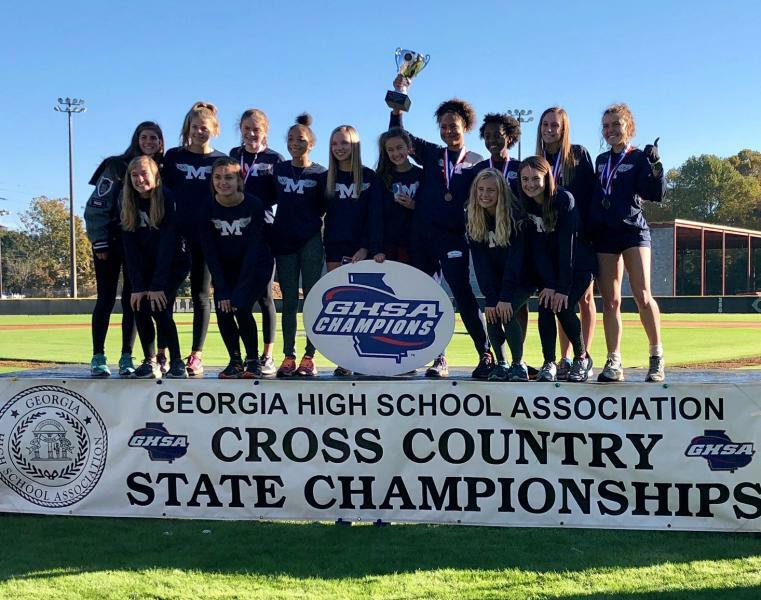 The 2018 GHSA Cross Country State Championships presented by the Atlanta Track Club was held November 2-3 at the Carrollton Course. 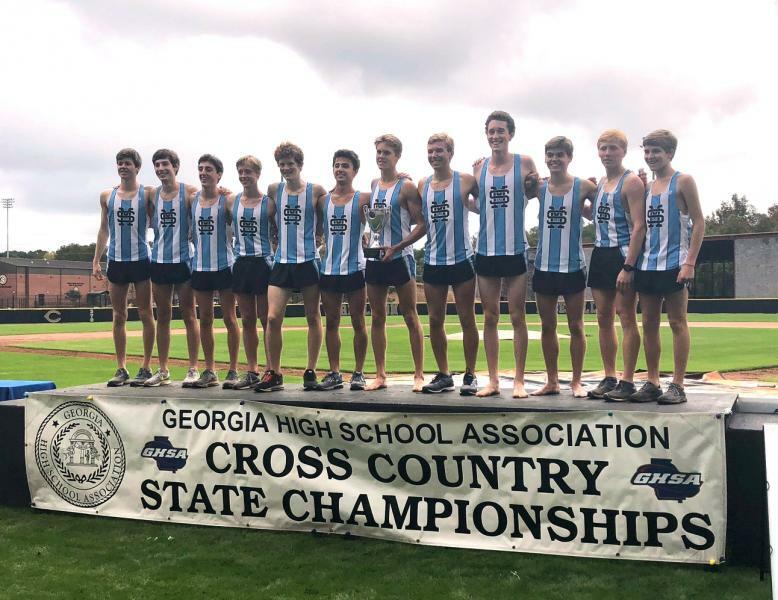 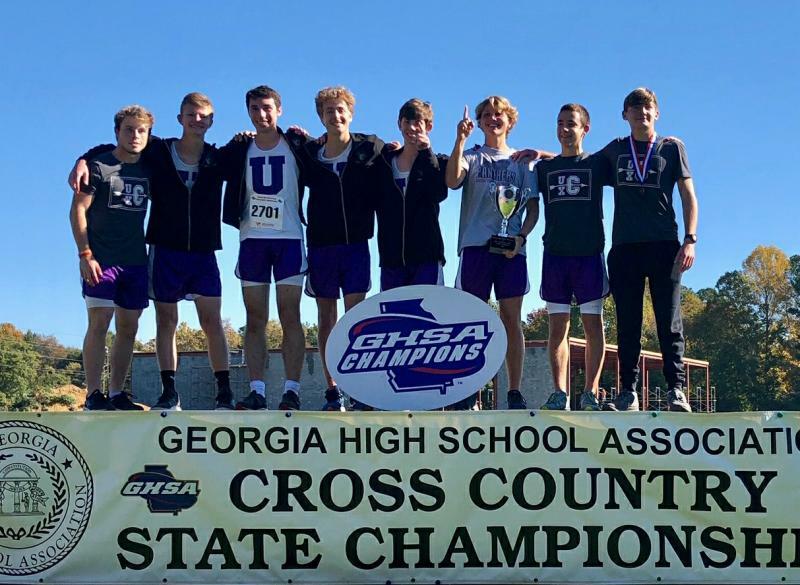 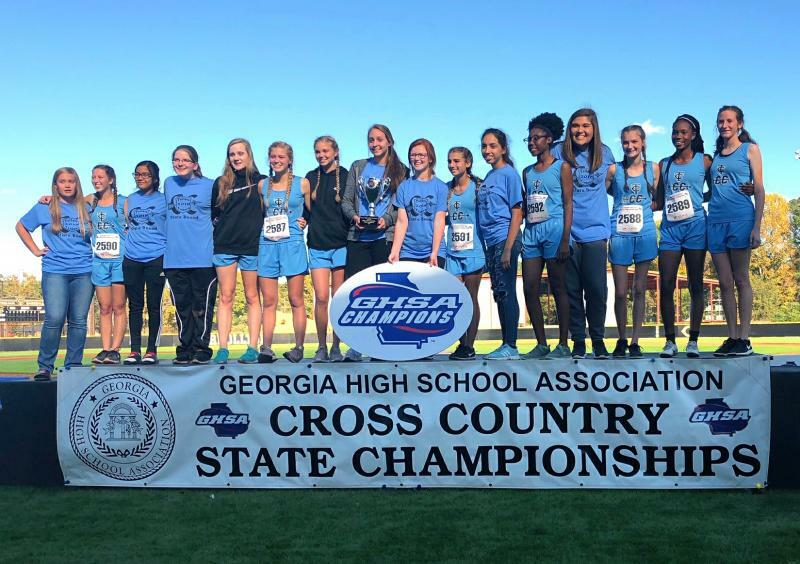 State titles were won for the first time by: South Forsyth (7A Boys), Starr’s Mill (5A Boys), Union Co. (2A Boys) and Atlanta International (1A Private Girls). 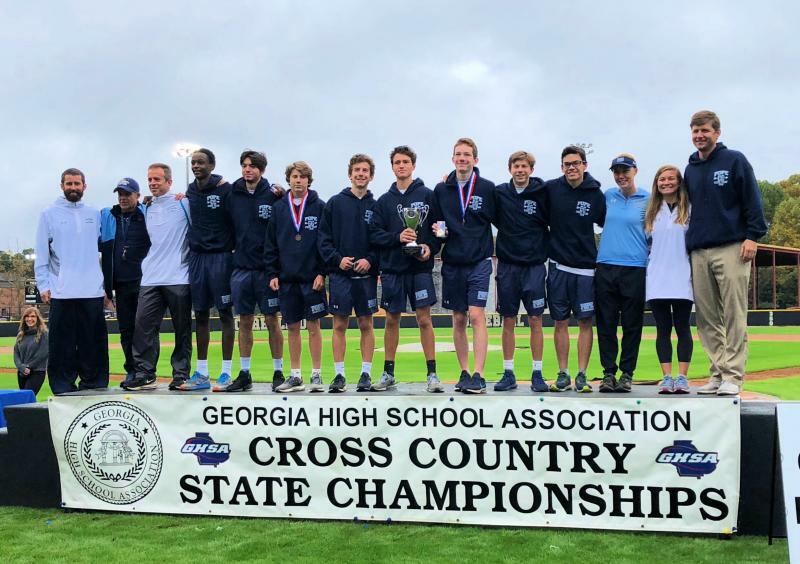 And Pope (6A Boys) had not won since 1999. 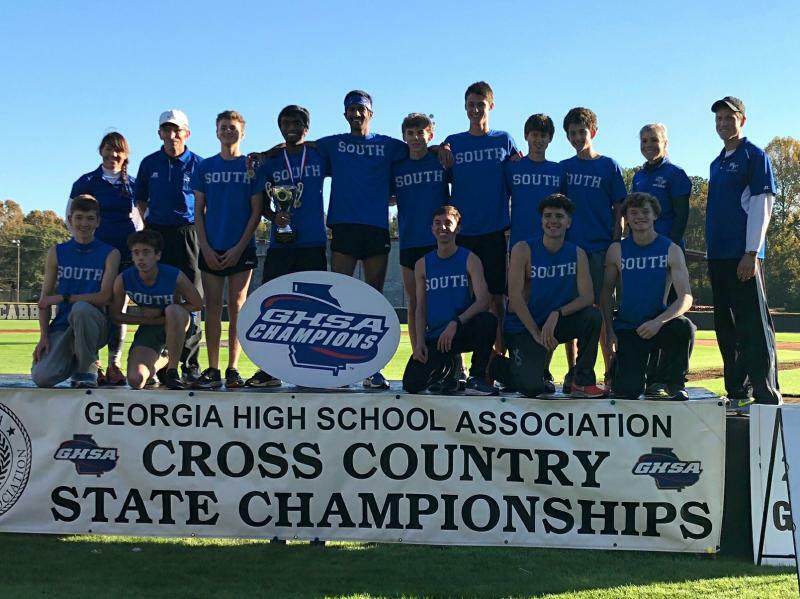 Boys - South Forsyth, Pope, Starr’s Mill, St. Pius, Westminster, Union County, Georgia Military College and Wesleyan. 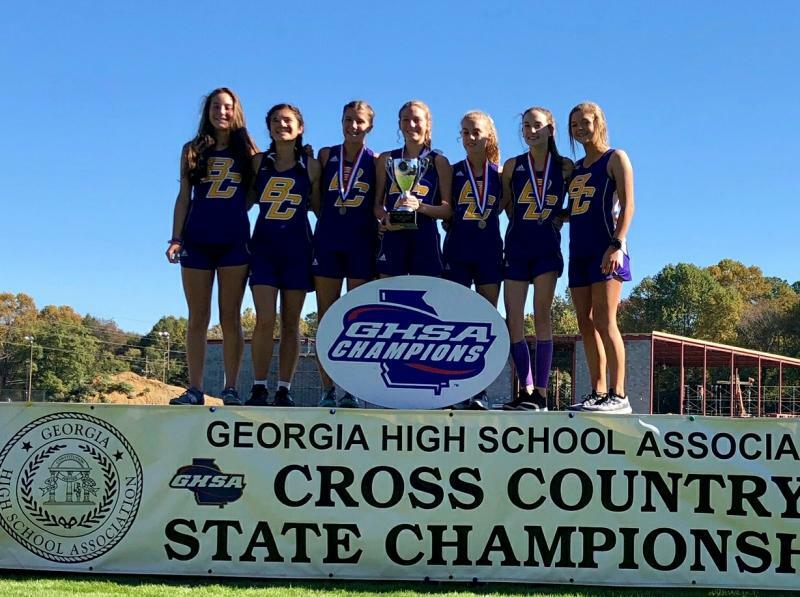 Girls - Marietta, Cambridge, Woodland-Bartow, Marist, Westminster, Bleckley County, Telfair Co. and Atlanta International. 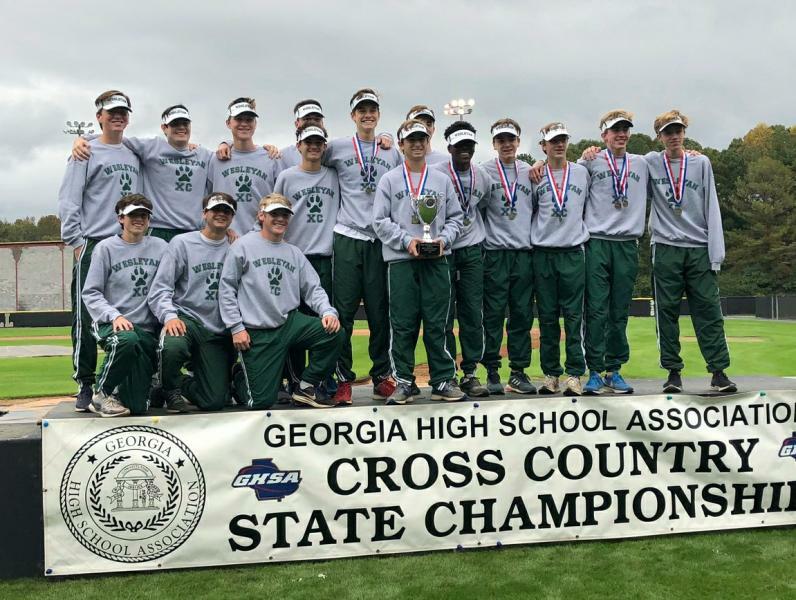 A special thanks to Meet Director Craig Musselwhite, Carrollton schools staff, volunteers, medics, sponsors (especially Atlanta Track Club, TeamIP, US Army & Navy), media, Perfect Timing Group, and GHSA Meet officials / staff and fans, whose support contributed to the success of this event. 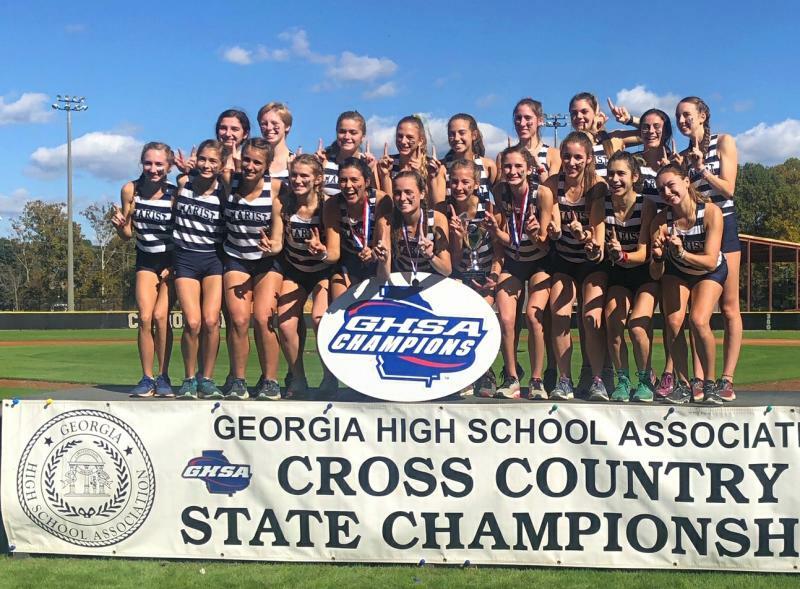 View complete Meet Results by Perfect Timing Group. 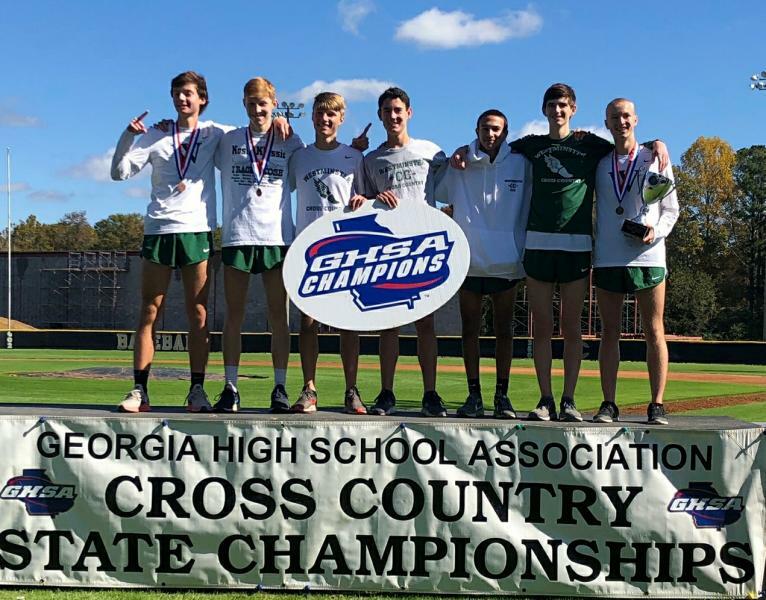 Action photography can be ordered at pinionphotography.com.